First of all let me share, what does BLD mean in the title of this post. Now my readers may ask, where does BLD stands in the discussion related to personal finance? Before I make any comment, Just look at the picture below. What do you people interpret from the above image? Yes I do agree, a picture is more than the 1000 words. So it’s important to have a good, proper Breakfast followed by a little lighter Lunch & finally the very small and easy to digest Dinner. Now compare it with your financial life, the morning time i.e. Breakfast time is the time, when you are young, just into you first job, without any responsibilities, no dependents. This is the time to start working heavily for your future. Invest maximum part of your income to create a corpus which ‘ll help you in future consumption. The good start made by you during this time ‘ll ease out the pressure from your life in later part. 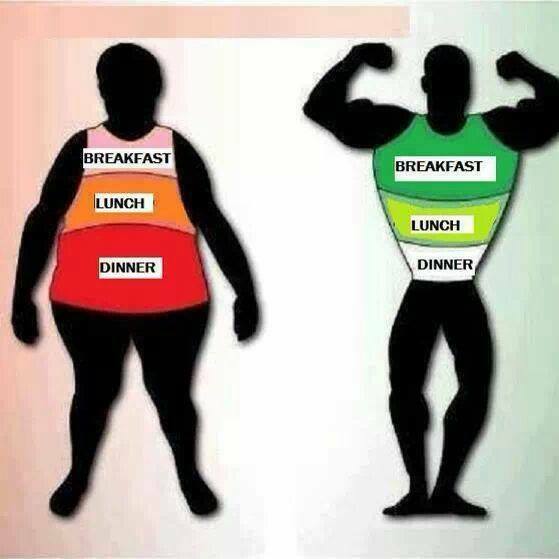 The Lunch time is actually your middle age, when family size is increasing & from 30s to end 40s you are too busy with family, kids, home loan, car loan, education of kids, career of kids. At this point, you need to assessed your situation & still keep on investing a good part of your income. Your Risk taking ability ‘ll be a bit lower So Debt part in your portfolio should increase. The Dinner time is actually your pre & post retirement years, where your primary aim is to live a healthy (financial) life. The Debt part ‘ll be higher at this time but still you need a support of light Eq. This is also the time when you ‘ll start redeeming the rewards of your initial hard work. Your risk taking ability is very low or near zero at this point of time and preservation of your created capital is of prime importance for you now. So What’s your view on CORRECT BLD? Please do share in comment section. 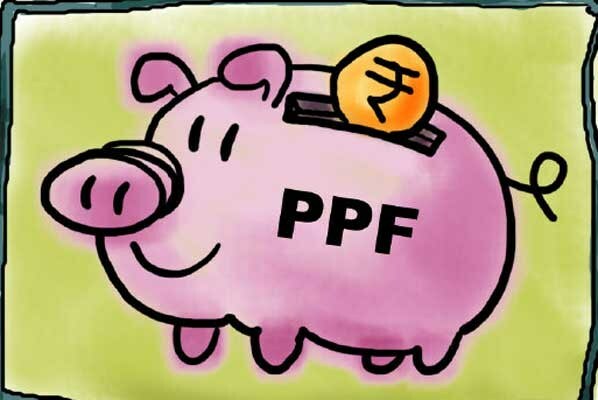 Many a times people search for the correct form to be used for various services of PPF. Here in this post I’m compiling the forms for PPF. The source of these forms is indiapost. Form A – This is the PPF account opening form. You need to fill it at the time of opening your PPF account in Post Office or Banks. Form B – This is the deposit form. Your deposits into your PPF account can be done by this form at the counter of Post Office or in Banks. Form C – This form is your withdrawal form, to be used whenever you want to withdraw from your PPF account. Form D – This is loan form. whenever you want to avail loan from your PPF account, use it. Form E – This is your first time nomination enrollment form for your PPF account. Form-G – This form is to be used to claim the amount of PPF lying in a deceased person’s account by his/her legal heirs/successors/beneficiaries. Form H – This form is to be used for continuation of your PPF account after first 15 year block & after every 5Y block. Please feel free to share these forms with your friends, family, relatives. Should I buy a house property or not? So many times, people have asked me this question. There are 2 parts for answering this question. I w’d like you to keep your emotional part (a roof of your own, a sweet home, a place of your own to rest & calm & many others) on backseat while reading this article. Please think only on the financial impact the house purchase ‘ll make on your life. All over India, property prices have increased many times in past few years. So there is a common feeling in the mindset of every person that there is only one way for house prices – TO GO UP. Can it happen endlessly? The answer is NO. the prices w’d have to correct for a level where people can buy for actual needs. As of now, too much speculation is chasing the prices. Most importantly there is no fix benchmark to decide the price of a house or for the area, you want to purchase in. Still I’m trying to test your decision on financial nos. only. Many of you are aware of PE ratio in stock picking. For the people who are not familiar with this PE thing. Here is the general definition of PE ratio. Here P stands for Price & E stands for Earning. If we divide the Price of a stock from the earning (profit of the company per share basis), the ratio thus arrived is called PE ratio. Based upon this PE ratio, many a times, people decide that the stocks is undervalued (cheap), fairly valued or overvalued (costly). Now what’s the significance of PE in a non stock purchase decision? Well my dear friend, the same things & principles apply here too in case of a house purchase. How? The amount you are paying to purchase the house is your PRICE. the possible rent that you may earn from the house or you w’d have to pay for the same house if not purchased by you is the earning from the house. Let’s understand it with an example. Say mly rent for a house is 5000 Rs. & Price of the same house is 1200000 Rs. Now what ‘ll be PE ratio of this house? To calculate PE ratio, first convert the mly rent to yly rent. Now if the price of the same house is 1800000 & 2400000, what ‘ll be the PE ratios for these two different price points. Now can you people use your own common sense to decide, which deal is the most favorable to you or should I say cheapest option while you are purchasing the house? Of course the 1200000 Rs. purchase price. For simplicity of calculation I’m not counting the property tax, maintenance & other expenses against this house property. So taking our clue from Stock picking, can we decide now a PE range to judge a property’s valuation? If PE is 20, the property is under valued, hence one should buy. In other words, living on rent here is costly. So purchasing & living in your own house ‘ll be a sensible idea. If PE is 30, the property is fairly valued, hence one should look for other factors also like job distance, school, market, health facilities, …. 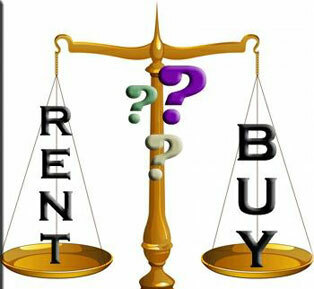 to decide that rent or purchase as it’s a balanced position. If PE is 40, the property is overvalued, hence one should not buy. In other words, living on rent here is cheap. So purchasing & living in your own house ‘ll not be a sensible idea. It’s advisable to live on rent in this property. Now, many of you may ask, how did I decided these points of 20, 30 & 40 PE for 3 different answers for a same property. the answers lies in the detailed math. Here it goes. I assume you are not availing home loan to purchase this property & you do have full amount with you for all the 3 different price points. I also assume post tax return from the 3 price point amounts ‘ll be 6% if deposited in a simple product like bank FD. Price 1200000 Rs. if you are not purchasing the house, income from the amount @ 6% post tax return = 72000 Rs. which is very close to the rent you are paying. so you can afford to purchase instead of paying rent. Price 1800000 Rs. if you are not purchasing the house, income from the amount @ 6% post tax return = 108000 Rs. which is way above the rent you are paying. But still not out of the reach at all. so it’ll be a personal call that you can opt to purchase or keep living on rent. Price 2400000 Rs. if you are not purchasing the house, income from the amount @ 6% post tax return = 144000 Rs. which is very high & even after paying 60000 Rs. rent from this post tax income of 144000 Rs, you are still having 84000 Rs. in your pocket. So you can afford to pay rent & drop the idea of purchasing this property. Many of you may argue, here that I’m not considering the capital appreciation that ‘ll happen over the period. My answer – Very true, the capital appreciation ‘ll happen but as you had purchased this house for self consumption, w’d you sacrifice that thing for a higher sell price & w’d you & your family be agree to relocate to a new area (mostly in the outskirts) so that you casn reap the profit from the house? Only you can answer this thing. Was this article helpful to you? Can you take an informed decision now? What’s your take on the things discussed in the article? You are currently browsing the archives for the Saving & Investment category.